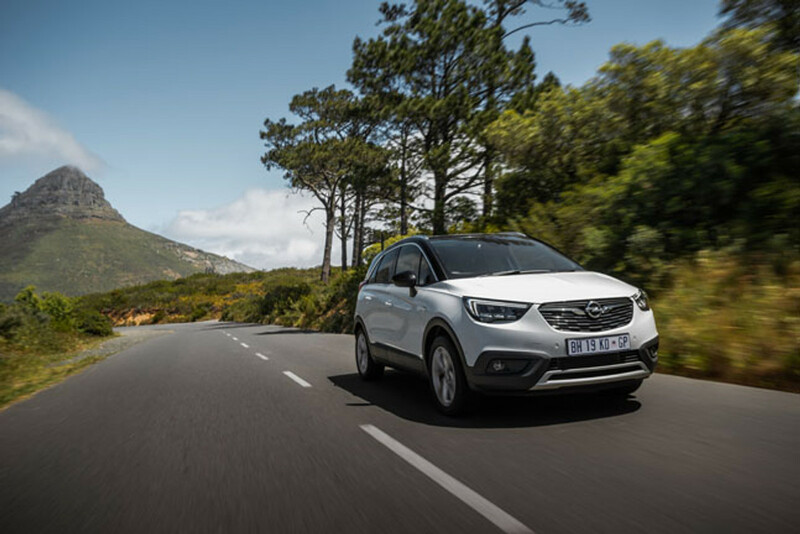 Opel has introduced a new member to its growing crossover/SUV family in South Africa and it’s called the Crossland X, slotting in beneath the Mokka X and will be joined by the new and larger Grandland X in 2018. 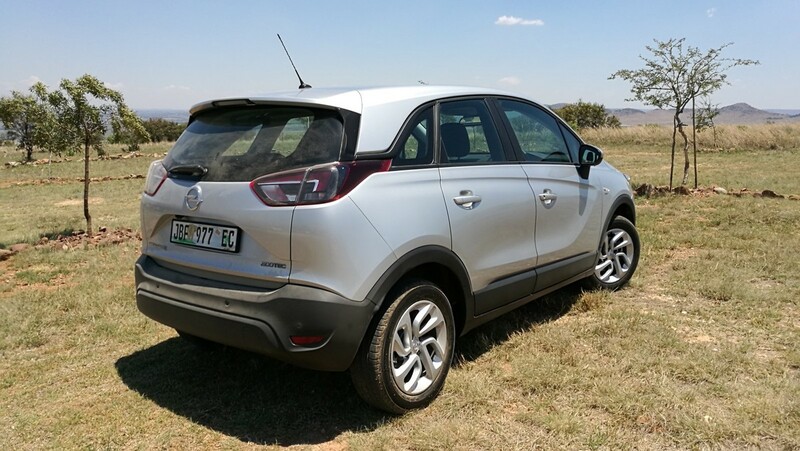 Cars.co.za journalist, Gero Lilleike, headed to Johannesburg this week to drive the newcomer and to bring you this report. 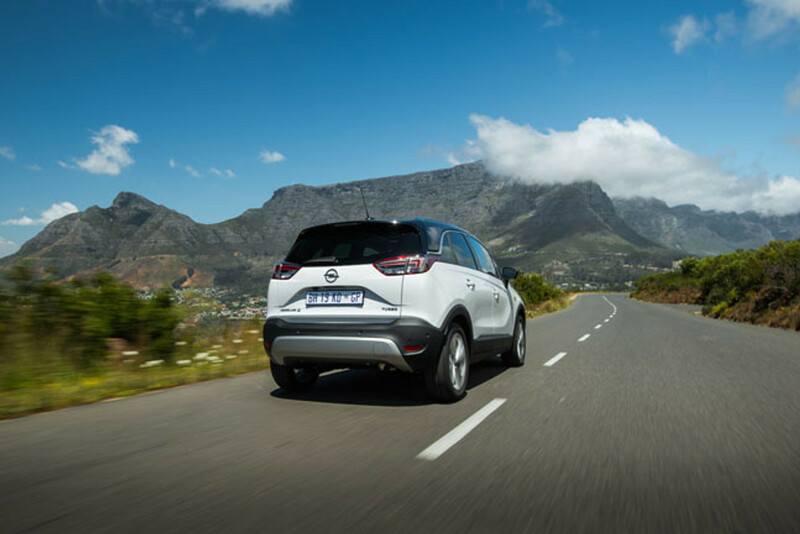 Earlier this year, the French PSA group took ownership of Opel, which was followed by the announcement of General Motors’ exit from the South African market. 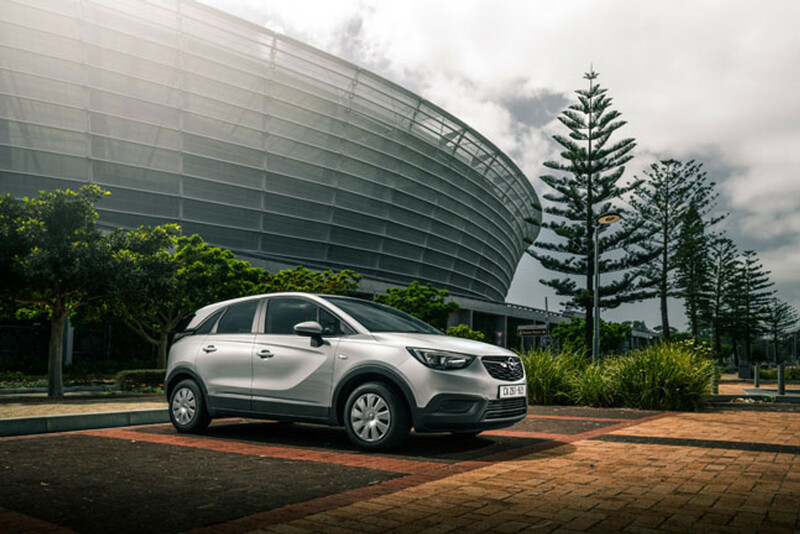 Amidst the restructure, Opel, however, has committed itself to South Africa and as of January 2017, all Opel vehicles will be distributed locally by the Unitrans-owned Williams Hunt group. The new Opel Crossland X will appeal to young families looking for a practical and safe city crossover with SUV appeal. The Crossland X offering consists of 4 front-wheel drive derivatives with two 3-cylinder petrol engines on offer and the choice of manual and automatic transmissions. 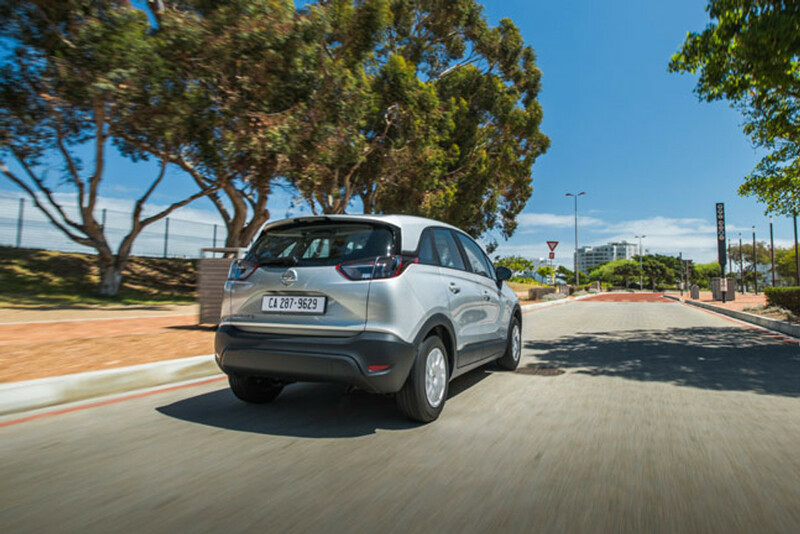 The range starts with the entry-level Crossland X, powered by a naturally-aspirated, 1.2-litre engine with 60 kW and 118 Nm of torque and mated with a 5-speed manual transmission. Fuel consumption for this derivative is claimed at 5.2 L/100km. 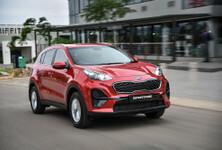 The remaining 3 derivatives are powered by a turbocharged 1.2-litre engine with 81 kW and 205 Nm of torque and offered in either Enjoy or Cosmo trim levels. A 5-speed manual transmission is offered on the Crossland X Enjoy and Cosmo derivatives while the range-topping Crossland X Cosmo is mated to a 6-speed automatic transmission. 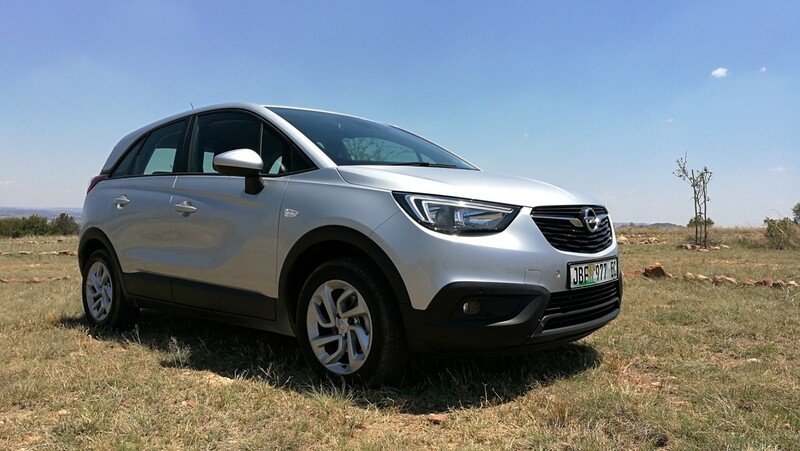 Opel claims a fuel consumption figure of 4.8 L/100km for the turbocharged derivatives. Interior build quality is good and 2 infotainment systems are offered depending on the derivative you choose. 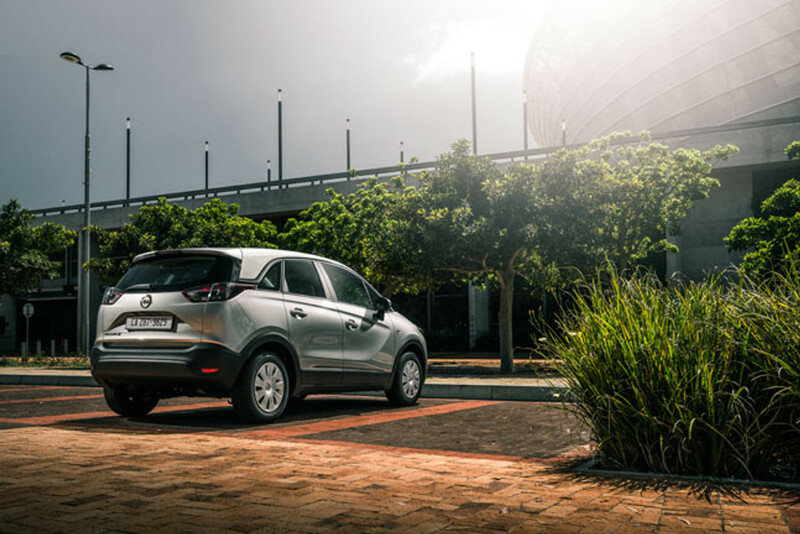 Positioned as a compact family crossover for life in the city, a key highlight of the Crossland X is its practicality. Standing at just over 4.2 metres and with a wheelbase of 2.6 metres, interior space is quite generous, particularly for rear passengers. The rear seats are split in a 60:40 configuration and the rear seats can slide forwards or backwards by as much as 150 mm, either providing generous rear legroom or making the load bay significantly larger, depending on your needs. 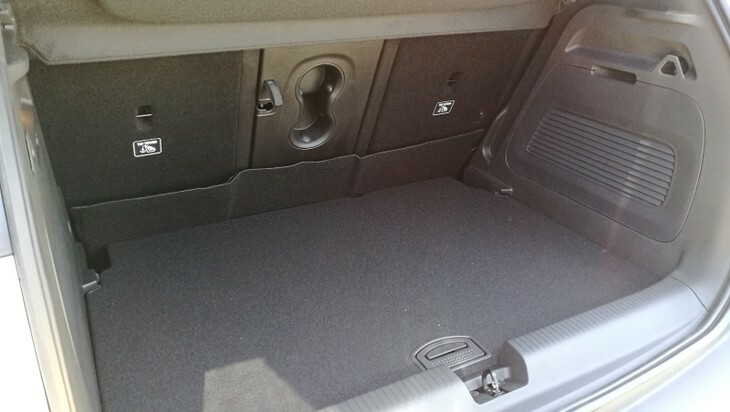 With maximum rear legroom in place, the load bay offers 410 litres of space and with the rear seats all the way forward, space increases to a useful 520 litres. 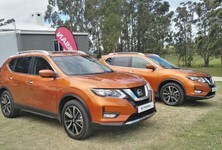 By folding the rear seats flat, a total of 1 255 litres is available. 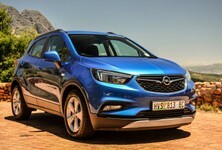 Up front, Opel is offering 2 infotainment systems, both with Android and Apple mirror functionality. 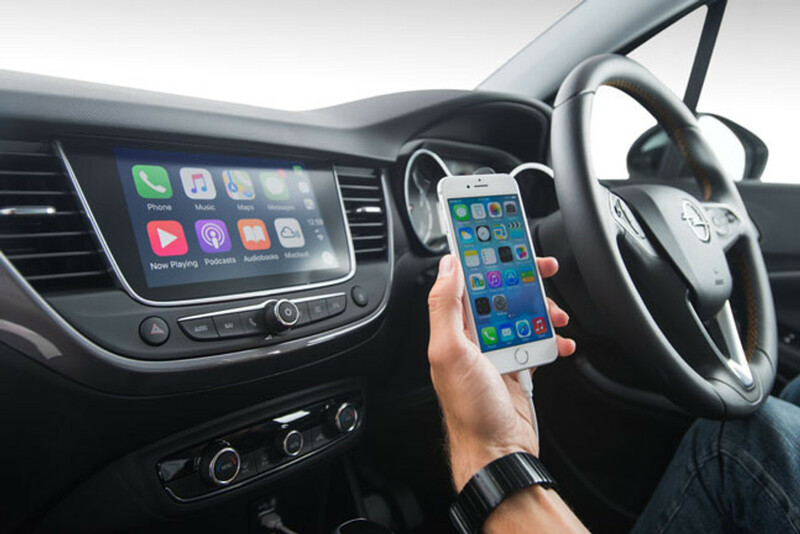 The entry-level Crossland X and Enjoy derivatives are fitted with a 7-inch R 4.0 IntelliLink infotainment system that offers USB playback, Bluetooth and Apple CarPlay. You can also view film and pictures via USB. Cosmo derivatives are equipped with an 8-inch Navi 5.0 IntelliLink infotainment system which adds features such as navigation, Siri voice control, 2 USB ports, embedded voice control and the ability to connect up to 10 phones. 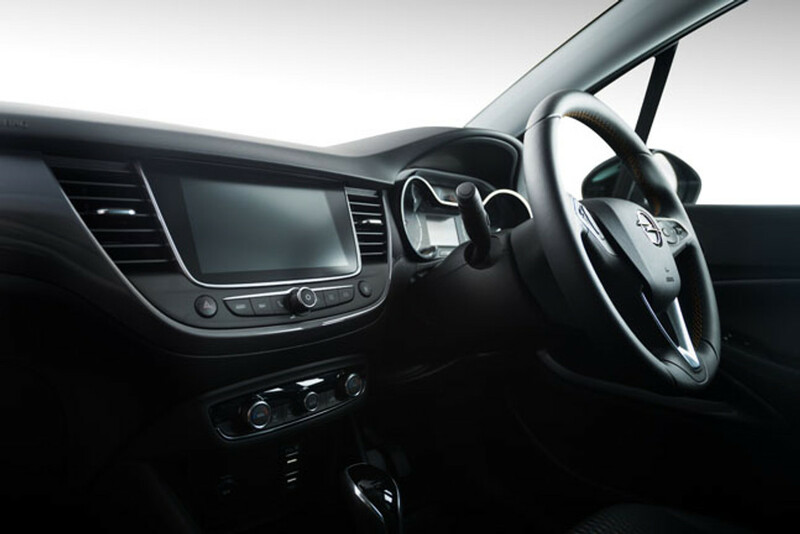 Both systems can be controlled either via the touchscreen or mounted steering wheel controls. A flexible and expandable loading bay is offered thanks to clever 60:40 sliding rear seats. 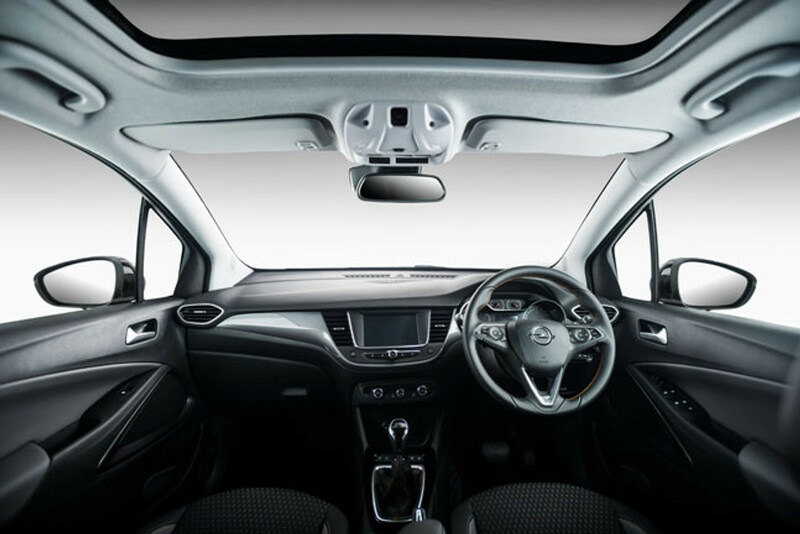 Standard features fitted to the Crossland X include cruise control, hill start assist, LED daytime running lights, automatic headlights and traffic sign recognition. Enjoy and Cosmo derivatives are further equipped with rain-sensing wipers, rear view camera, automatic dimming rear view mirror, front and rear park distance control and front fog lights. The range-topping Cosmo derivative can be further equipped with features such as adaptive forward lighting LED headlights with high beam assist, cornering lights, automatic levelling and LED taillights. Advance park assist, head-up display and a Safety Pack is also offered with automatic emergency braking, pedestrian detection, forward collision alert, driver drowsiness system and side blind spot alert. 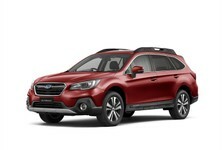 Standard safety features include ABS with EBD, electronic stability control with traction control and a total of 6 airbags. What’s the Crossland X like to drive? 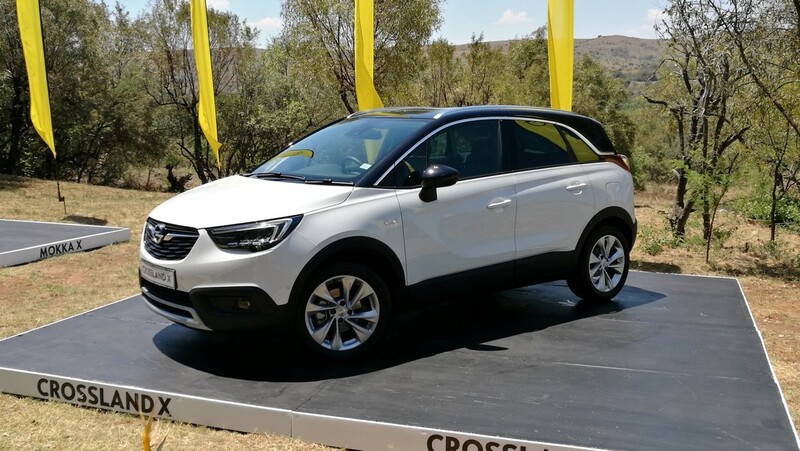 The Crossland X 1.2T offers perky performance coupled with comfortable ride quality. The launch route, although short, gave us the opportunity to test the Crossland X 1.2T Enjoy manual in both urban and highway settings. We found the Crossland X to be reasonably comfortable to sit in and the height adjustable driver’s seat made it easier to find the optimal driving position. 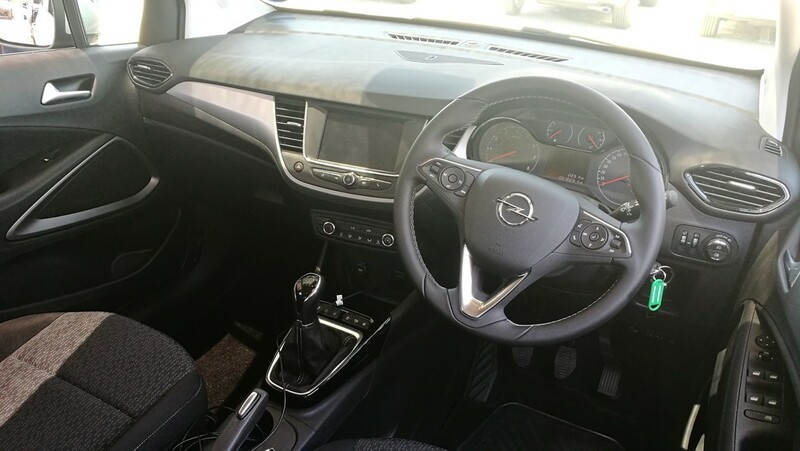 The soft-touch dashboard gives the Crossland X a premium quality, but we couldn’t help but feel a little underwhelmed by the interior design, which closely mimics that of the slightly larger Mokka X. Sure, it’s nice enough and is well constructed, but somehow the Crossland X lacked a sense of occasion and the interior design wasn’t really striking in any particular way. We found the 1.2-litre turbocharged engine to perform adequately once the turbocharger kicks in, but the initial lag is noticeable. The engine is reasonably refined and the typical 3-cylinder thrum becomes more apparent under harder acceleration. The manual transmission is relatively smooth in operation and the throws through the gears are long and extended. The Crossland X displayed good tractability on long uphill sections of road and didn’t require continuous down-gearing to keep the car in its power band. Even in 5th gear, the Crossland X maintains good momentum, which was pleasing. 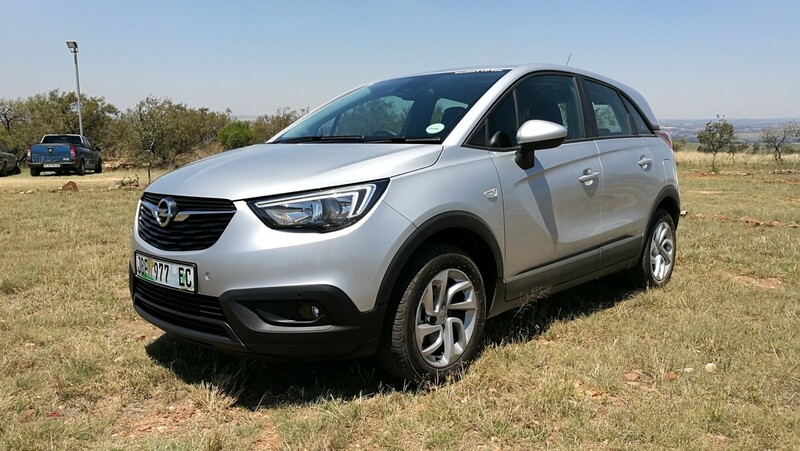 Ride quality is a major highlight of the Crossland X and even on the poor road surfaces in the vicinity of the Cradle of Humankind, it managed to soak up bumps and undulations with aplomb, delivering a comfortable, pliant ride. More so, road and wind noise entering the cabin was acceptable without being too intrusive. 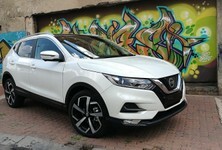 The steering is on the lighter side and perhaps a bit vague, especially when wielding the Crossland X through corners. 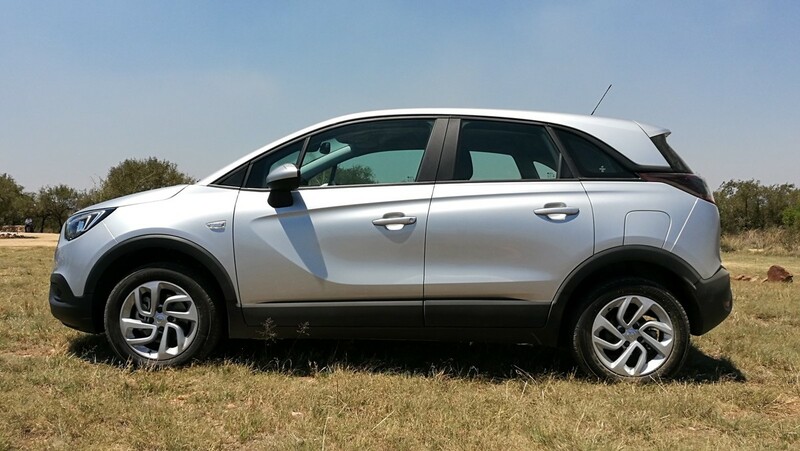 Overall, our initial impression of the Crossland X is positive and although it appears to be a middle-of-the-road offering, the combination of a competitive pricing structure and its well-specced, practical, spacious and no fuss interior will likely find favour with many buyers in this segment. 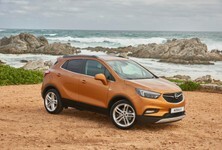 It does, however, remain to be seen how the Crossland X is received by the buying public and how it will fare against its established rivals in this hotly contested segment. We have yet to test the naturally-aspirated Crossland X and the range-topping Crossland X Cosmo automatic but we will hopefully have these derivatives on test in the near future, so look out for a thorough evaluation coming your way soon. 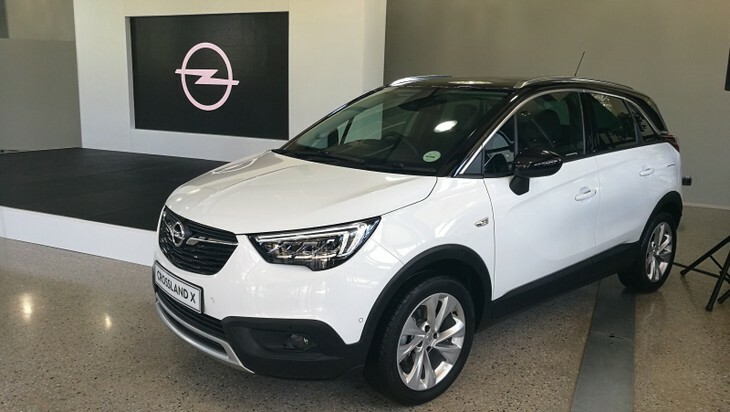 The Opel Crossland X is sold with a 5-year/120 000km warranty and roadside assistance programme, a 5-year/unlimited mileage anti-corrosion warranty and a 3-year/ 60 000km service plan. Service intervals are at 15 000 km or 12 months for all derivatives.